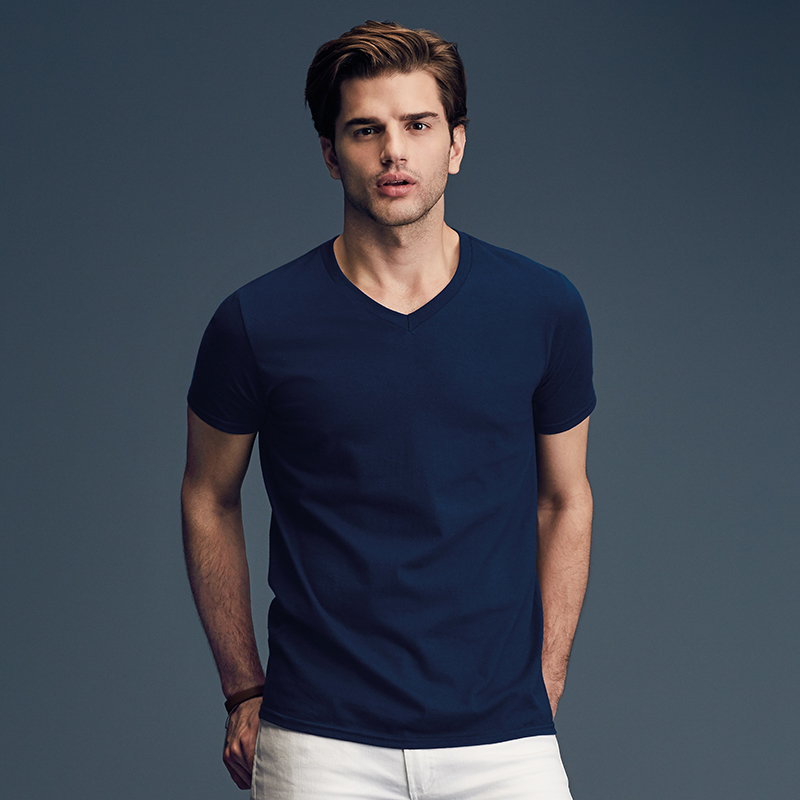 When it’s time to step up your style, let this sophisticated V-neck give your look a notable boost. The perfectly mitred neckline accents precision construction, and the semi-fitted cut has a modern style that makes it a favourite in any wardrobe. 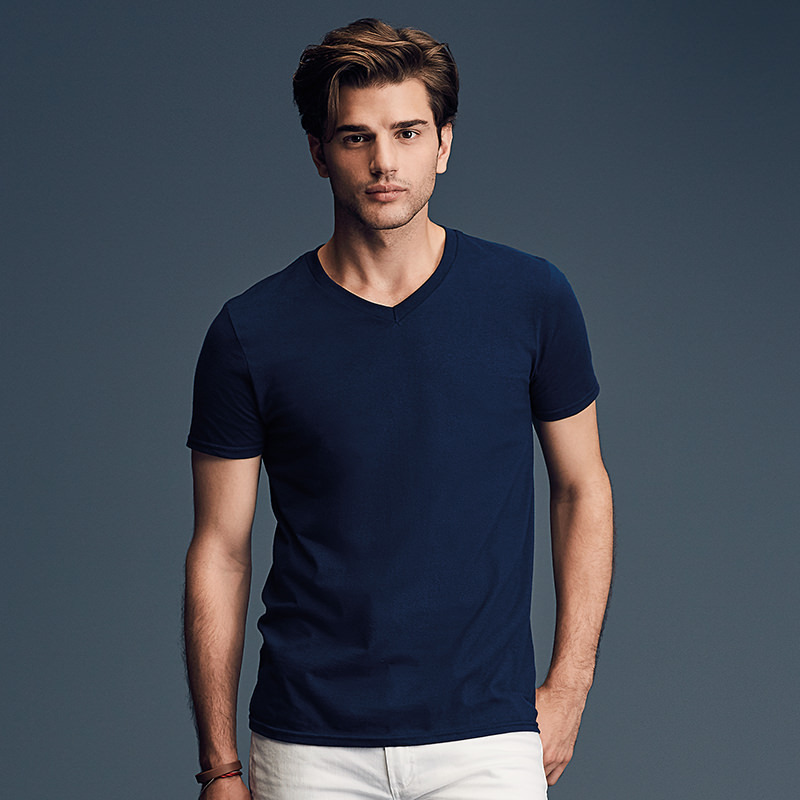 30s singles yarns give the fabric an exceptionally smooth surface that is a superb backdrop for decoration. 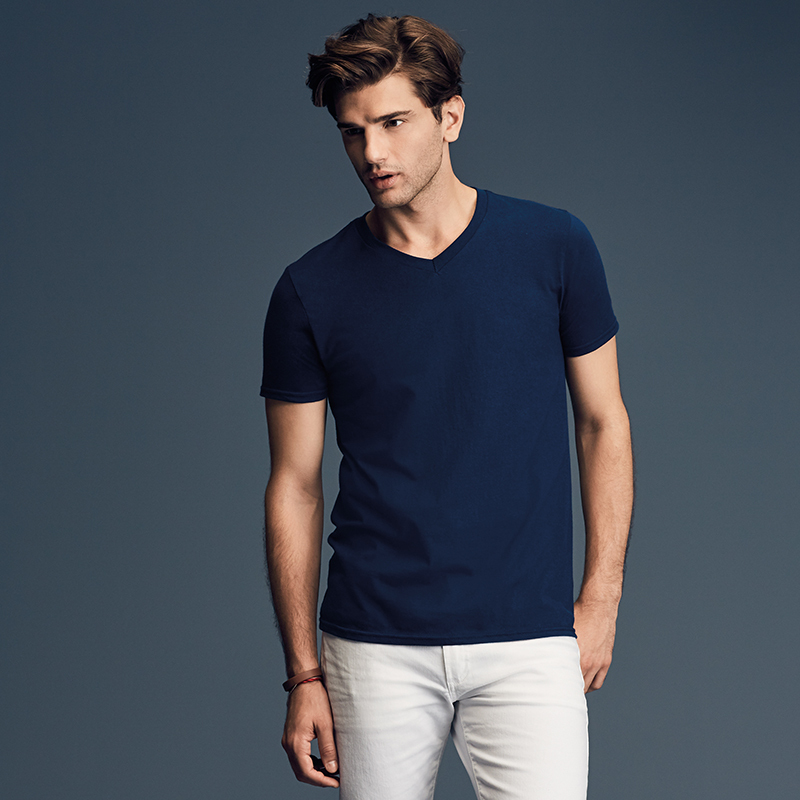 Our bestselling t-shirt, and with good reason!Cut in a classic fit, pre-shrunk and crafted using Gil.. Taped neck and shouldersEuro fit/tubular knitPre-shrunk Jersey knitFabric:100% Cotton pre-shrunk Jer..
V-neck with cotton/Lycra® ribSelf-fabric back neck tapeFine knit gauge for enhanced printabilityFabr..
V-neck with cotton/Lycra® ribShaped side seams for a feminine fitFine knit gauge for enhanced printa..